Winter training paves the way for spring racing: While some of us have just begun thinking about airing out our long-abandoned kayak gear, many NRC athletes haven’t put theirs up all winter. Some of these athletes, like US Team members Michal Smolen and Bug Lokken travelled to warm weather training camps in Rio, Brazil and Sydney, Australia. For many of our youth athletes, winter training was a more prosaic experience, and took place right here at home – on the Nantahala, the Catawba, and on ice-rimmed ponds from Alabama to Tennessee. For all these athletes, the upcoming US Open will be the first major event of the spring racing season. The event will be an opportunity to show off the results of those long, cold winter training sessions. Many of these athletes have their sights set on the US National Team Trials and US National Junior Team Trials. The US Open is an important testing ground of their skills, and a valuable exercise in race preparation. The event welcomes recreational paddlers as well as serious athletes. “For me, as a recreational slalom racer, it’s a fun event to be a part of because you get to race with the serious athletes. 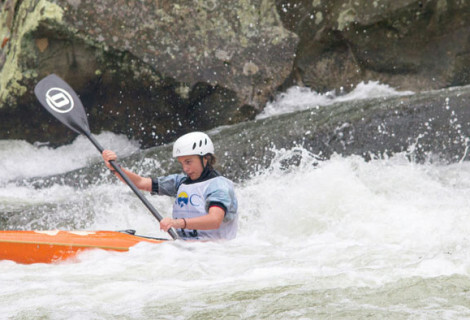 You have the opportunity to paddle the same course as the top guys and it’s inspiring to think of what you could accomplish with a little training,” says Juliet Jacobsen Kastorf, NRC Board Member and co-owner of Endless River Adventures. This is a rare opportunity, almost unheard of in other American sports. Imagine shooting hoops with Michael Jordan or skirmishing with John Elway. 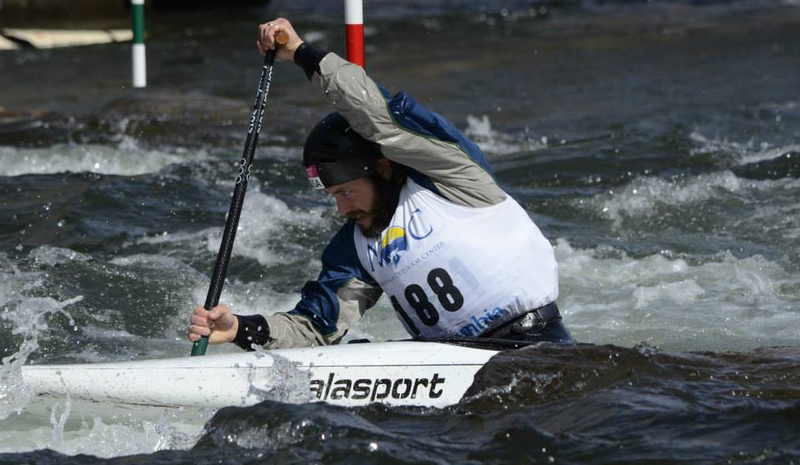 The 2016 US Open will include both slalom and downriver disciplines. Participants are encouraged to pre-register by March 23. There will be NO RACE DAY REGISTRATION for the US Open. Registration includes an event t-shirt and two days of high-quality racing. NRC is seeking volunteers to help with scoring, judging, and course construction. If you’ve never participated before, it’s not hard to learn, and the NRC race team will be happy to show you the ropes. If interested, please email race director Nick Lomas.